The Economics Club is BACK with a glamorous game!! This time you are an actual MAFIA (A CRIME LEADER). Various crimes lurk around your place, lots of glorious people in the informal, very informal… Underground Economy-- There will be Drug Traffickers, Coal Mafias and Smugglers. You will analyze and handle decisions with VERY HIGH RISKS! But don’t you remember? Higher the risk… Higher the returns. It is a hunt, for the right model, for your Underground Business to cross all OBSTACLES and Generate maximum ‘Maal’ (Money). The Economics Club of IMI presents “Arthneeti”, a strategy based Case Study Competition. For Arthneeti, learning is a quest to unravel the secrets of eluding problems. It is a tryst with challenges, cajoling and cuddling your brain- trying to ask a simple question: CAN YOU DO IT? You need a vision to plan with cognizance, to see what others have been ignoring and to come out with something new, something practical, and something that touches a cord. It accompanies flawless execution and endless trials. 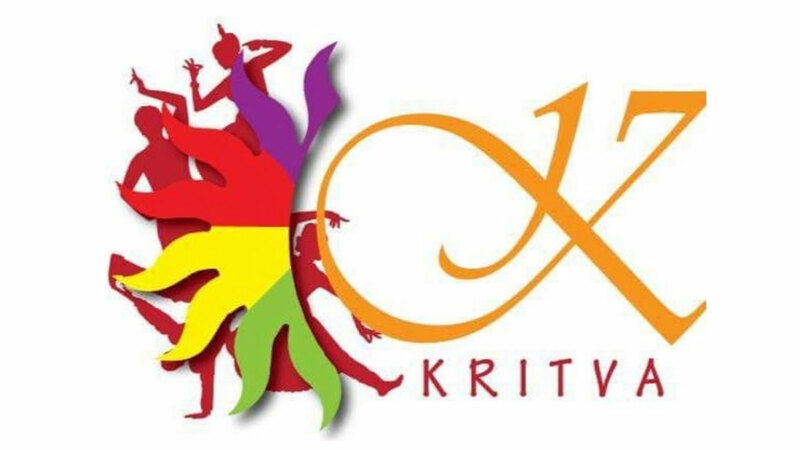 The Entrepreneurship Cell, International Management Institute, New Delhi, presents to you its first ever national platform for entrepreneurs during Kritva 2018, ‘Pitch Please’. Today everyone wants to be his own boss. But lack of proper support and knowledge are the limiting factors and unfortunately many ideas never see the light of day and simply remain as ideas. The Entrepreneurship Club wants to be the bridge between these ideas and their realization. The event is aimed to help those who have a prospective business idea in mind and need a platform to showcase it to the world. The event is open to the student fraternity and students from other colleges as well. The Finance Club of International Management Institute, New Delhi presents to you its annual event – Globus Feneratus. It is an online stock simulation game that provides participants with an opportunity to invest virtual money in the stock market to build up their portfolio. It tests their abilities to trade across the globe, travelling virtually from cities to countries and then to continents to gain experience of the current investments and economic scenario of the world markets. It aims to unleash the analyst and leverage the money maker in you. The contestants are thrust into the investor’s world where each investment could make or break the bank. Dynamic situations arise wherein players get to see stocks crash in minutes, which tests the player’s ability to regain his composure and reclaim the pole position. The phrase “time is money” literally plays out in the bidding room where a moment of hesitation could cause a player to miss out on a promising stock. Fortunes will be made and the brave will be rewarded. At the end, one team will remain standing, one team to rule them all. The Finance Club of International Management Institute, New Delhi proudly presents to you its annual event Fin-Charades. Just as the name suggests, it is a guess-game with an interesting twist of finance. The participants are expected to play this fun-filled game by using their financial knowledge, along with creativity and spontaneity. The first round is a preliminary online quiz round. Winning this round will make the teams eligible for the second round which will be held on campus. The Consulting and Strategy club at IMI, New Delhi presents “Concetto”, a case study competition. The participants will be acting as consultants to a company and have to read & analyze a real-time situation faced by it today to devise a strategy which is best suitable for the company to walk out of its complexities. So, if you feel that you have an innovative mind and believe that your strategy will work the best against the strategies developed by some of the best minds from various B schools across the nation, be there at Concetto. Samadhan, the quest for solution is a two round case study competition, which requires the participating teams to design a business solution/model for a company in time of crisis, keeping in mind the social impact as well. Excalibur is brought to you by the " Marketing Club" as a part of Kritva - The Annual Management & Cultural festival of IMI-New Delhi! Hardest battles are not to be fought by the toughest soldiers, the toughest soldiers are created by the hardest battles. It’s about time that you dust yourself off and get back in the ring and fight like you have never fought before. Welcome to your arena, where you get a chance to prove your mettle and show your worth, to the show the world you are not a survivor, you are a WARRIOR. The HR Club, IMI New Delhi presents its annual event - Gladius'18. This event focuses on testing the managerial and HR skills of participants. This would be done through three different rounds which would test you on innovation, creativity, problem solving skills, team spirit as well as HR and Business Acumen. Brandaccio, brought to you by “The Marketing Club” as a part of Kritva - the Annual Cultural festival of IMI-Delhi. Now is the time to test your marketing calibre unexplored and untested in the confines of a classroom. It’s all about to trying to make it great, do not let failure scare you away. This is your chance to make it big, compete with the brightest minds in the country and leave a footprint for others to follow. A face beneath, or above! Expressions is a two-stage impersonation story completion competition, where you put on some masks and wear few others off to suit your words of the story. It’s where you begin to be beyond the person you are and narrate a story on a given outline. Where you hesitate, you break! And the other person takes over to complete the story. Your expressions are the tools with which you paint your words! Through ingenious story-lines we would test your personality and the spontaneity and ease with which you can play with words. At the end of every round, few teams will be eliminated and 4 teams will compete for the position of the ultimate winner of ‘Expressions- A face beneath or above’! The Information Management and Analytics Club of IMI, New Delhi, presents "TNT", an event where data intercepts doom. You can have data without information, but you cannot have information without data. In a panic stricken situation, only your intelligence can make the difference between annihilation and survival. Data intelligence is the sole tool to counter terrorism that has befallen the city. This is a real test of pragmatism and being intellectual while keeping your nerves. So be wise while you make decisions because the life of the city is in your hands. It's time to prove your mettle and unravel the potential in you. Play wisely with your data. But... make it fast before it blasts!